Welcome to another local Wilmington wedding vendor interview! We’re continuing this series with a sit-down with Wilmington wedding planners Joel and Melanie Frank from Kindred Spirit Events. I’ve had the pleasure of working with these two bundles of joy at a wedding last summer. You can check out the photographs from that Blockade Runner wedding here to get an idea of what they’re capable of! I also had the opportunity to create some photography for their website to show potential clients the human side of Kindred Spirit. We headed out to Fort Fisher for a bike ride on the beach! These two love to have fun, and it shows in their style of planning. Check out what they have to say about their business, and what sets them apart from the other planners in town. Melanie: We’re past the stage of careers, but a little early to retire. I love it because it gives me the flexibility of not having a full time job, because weddings are usually on the weekends. So I can have a professional life, AND have a lovely social life. It gives me the opportunity to have it all. What was it that inspired you to become a planner? Melanie: In October of 2013 we hired a planner for our dautgher’s wedding. The planner wasn’t fulfilling our needs, so I got in there and helped the planner to get things done. It was a blast! I though to myself if I could just do the planning process (and not be the mother of the bride), this could be a lot fun! So I asked Joel to join me as a partner, and we jumped right in and created Kindred Spirit. At the end of the night, we just love sitting back and seeing the result of our work: smiles on everyone’s faces. Melanie: Basically with us you get two for the price of one! Joel and I are a package deal. Where I go he goes. We’ve been married 40 years too! Joel: With our military background (both in the Navy for over 20 years), we’re used to crisis management. So if and when something goes wrong (unavoidable in the wedding industry), we take care of it. And in many cases the bride doesn’t even know the problem existed! What would you consider the most important part of your job? Tell me about Kindred Spirit Cruising! Joel: The reason we established Kindred Spirit Cruising is because we’ve been boaters all our lives. Our first date was on a boat, and we wanted to take this experience and pass it on to our clients. We offer customized cruises, sunset cruises, and even small wedding cruises! Click here to check out Kindred Spirit Cruises. How did serving in the Navy help you in your wedding planning business? Melanie: Mostly with the skillset. We’re extremely organized as a result of my military background, and we’re able to bring that organization to our planning. In weddings, there’s no such thing as perfect, which is why there’s ALWAYS a backup plan. That’s what the Navy taught me. How would you persuade a client to see the value of your services? Melanie: It’s important that we meet with our clients face to face before their wedding, however that isn’t always possible with brides from out of town. So we’ll ask our brides if they’d like to speak with any of our past clients. This helps them take that leap of faith to hire us for their once in a lifetime event. We also want to make it easy to see that we’re human beings. We did a photoshoot with Marcus recently where Joel and I rode our bikes on the beach. We want our clients to see that we like to have fun, and we’re people too! Melanie: Let me just add that we’re not a fit for every personality. You really need to work with the people who you’re comfortable with, as a bride. And we’re not going to fit that mold for everyone, but that’s why there’s so many planners out there! For the clients that we click with, the service we can deliver is nothing short of spectacular. I’ve worked with Melanie and Joel, and I can vouch for everything they mentioned in their interview. They’re so down to earth, and Joel tells the best stories. 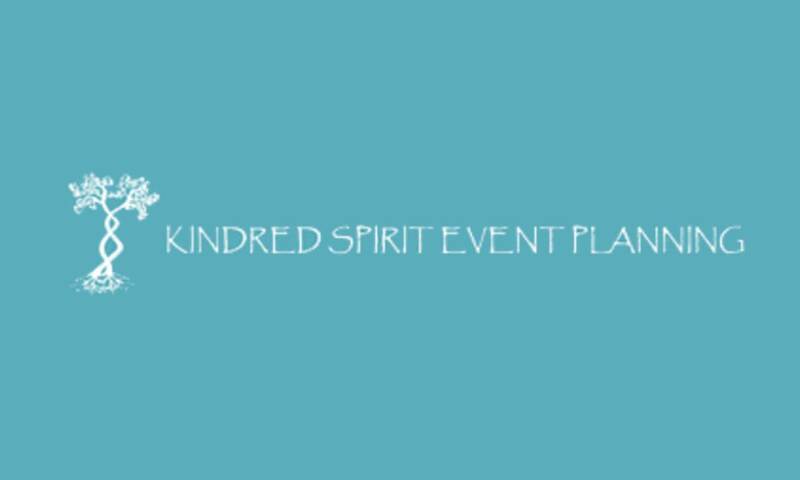 If you’re a fun-loving bride, you can’t do much better than Kindred Spirit Events.